Jay Graydon ( born c. 1949) is a Los Angeles songwriter, recording artist, guitarist, singer, producer, arranger, and recording engineer. He is the winner of two Grammy Awards (in the R&B category) with twelve Grammy nominations, among them the title “Producer of the Year” and “Best Engineered Recording”. He has mastered many different music styles and genres, and his recordings have been featured on record, film, television and the stage. From the late ’60s to late ’70s Graydon was a session musician in Los Angeles, working with such artists as Gino Vannelli, Barbra Streisand, Dolly Parton, Diana Ross, The Jackson Five, Alice Cooper, Cheap Trick, Al Jarreau, Christopher Cross, Ray Charles, Cher, Joe Cocker, Marvin Gaye, Hall & Oates, Wayne Shorter, Olivia Newton-John, and Albert King. He is perhaps best known for his guitar solo on Steely Dan’s 1977 hit single “Peg”. In 1977 he appeared as a character in a number of Doonesbury strips as Jay “Wah-Wah” Graydon. Graydon played on the Jimmy Thudpucker album “Greatest Hits” along with Steve Cropper and Donald “Duck” Dunn. He was the subject of the track “Fretman Sam” and played its guitar solo. He also programmed the synthesizers for the album. 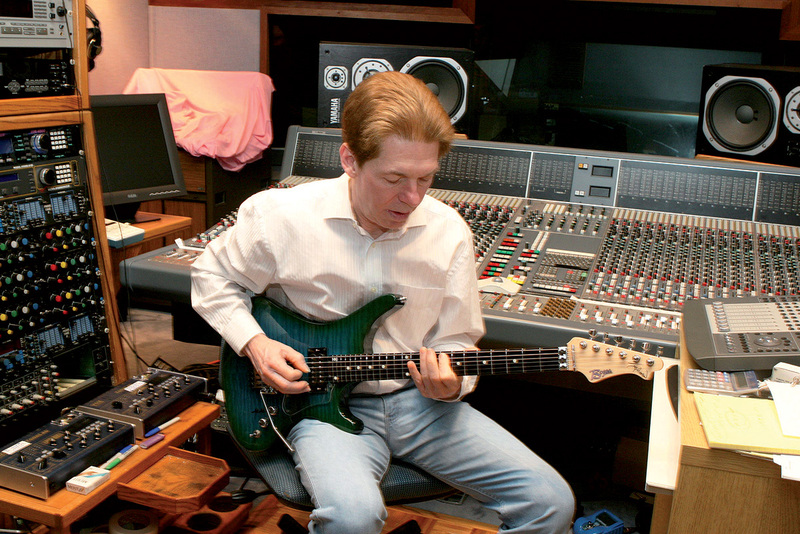 Jay Graydon’s production credits include work with Airplay, Air Supply, George Benson, Al Jarreau, DeBarge, El DeBarge, Sheena Easton, Art Garfunkel, The Manhattan Transfer, Johnny Mathis, Patti LaBelle, Lou Rawls, Dionne Warwick, Alan Sorrenti and the album They Don’t Make Them Like They Used To by Kenny Rogers. He started his own record label, Sonic Thrust Records, in 2001 to give himself creative and artistic freedom in his songwriting and producing profession. The label features straight-ahead jazz, adult contemporary pop, AAA, AOR, classic R&B, smooth jazz, and genuine retro surf from the ’60s. As a musician and recording engineer, he has often been a consultant and beta tester for new musical equipment and recording gear.